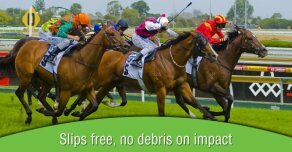 Improve the safety of horses and jockeys on your racing track thanks to the modern and innovative solutions on offer from the team at Global Barrier Systems. 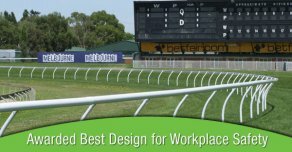 Flexible and resilient our Mawsafe horse track railing and horse racing rails are constructed from strong and lightweight PVC plastic, retaining its shape while getting rid of all the safety issues found in traditional racetrack fencing. 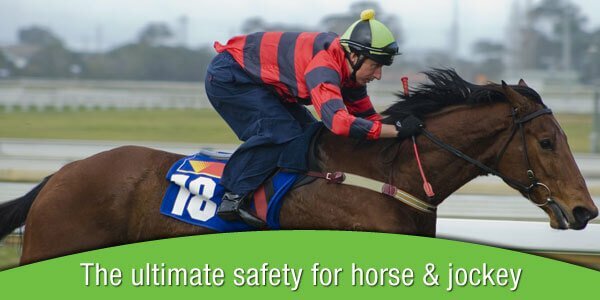 Available in 12-metre lengths our Mawsafe horse race running rails can be easily and securely installed, reducing the risks associated with collision with the rail during a race. 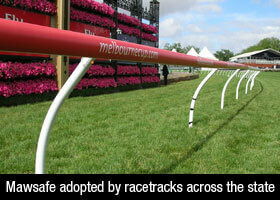 Should any section of the Mawsafe horse race track rail sustain damage it can be easily and seamlessly replaced with new components, ensuring that the rail is intact for the next race. 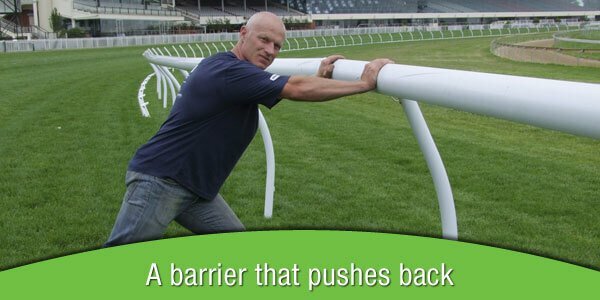 At Global Barrier Systems we strive to provide the highest-quality and resilient safety barriers, horse race track rails, and horse racing turf rails for private and public racing tracks. 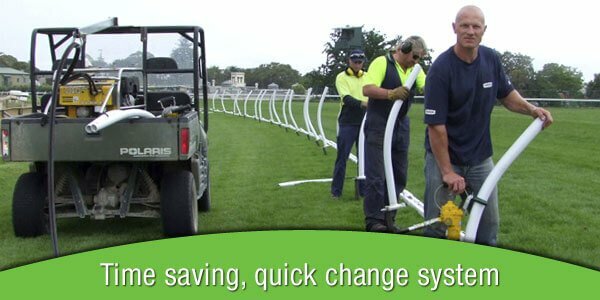 Unlike aluminium rails our Mawsafe PVC running rails are resistant to UV radiation and wet weather conditions, ensuring that they retain their integrity and shape without deteriorating or warping. 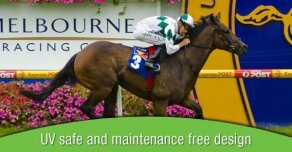 To find out more about our precise, custom-made, and securely installed horse turf rails or horse track running rails can call us today on 03 9768 5022.